The AIIT has recently been presented with an elegant glass-fronted bookcase which now gracefully adorns the landing at the top of the stairs. It was given to us by Trust friend Dr Dido Davies who inherited it from her stepfather Charles Dudley Massey (1905-1980), a key figure in the antiquarian book trade from 1923 until his death. Massey embarked on his long career in 1921 at Pickering & Chatto and became joint managing director of it on his father’s death in 1928. He thus became, at the early age of 23, one of the leading London booksellers, and established good relationships with many leading literary figures and book collectors. During the war he worked in Naval Intelligence with Ian Fleming (author of the James Bond novels), and from 1954, he also assumed responsibility for Christie’s Book Department. 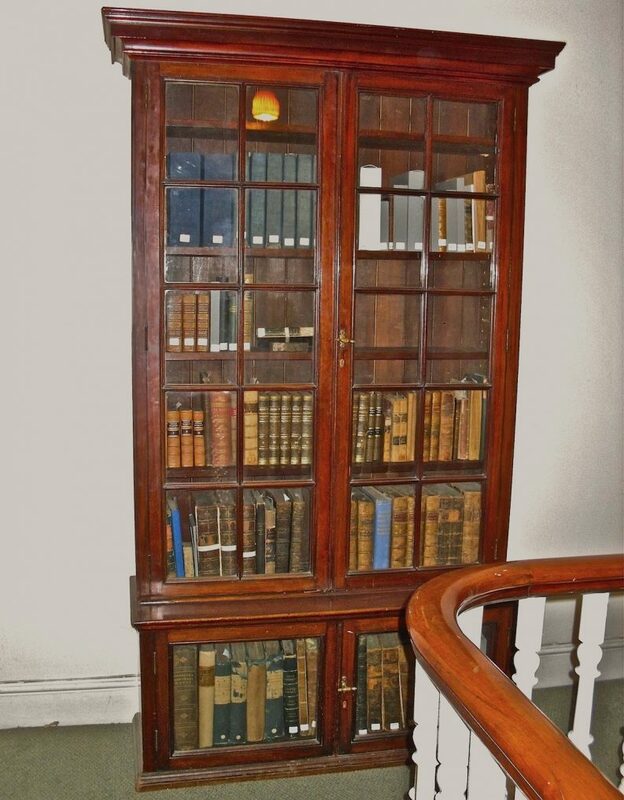 We are glad to be able to use such a well-connected bookcase (James Joyce was a frequent visitor to the shop) to house part of our collections.